It's difficult to make one all-star team, but to make it straight years? Well, our second annual All-Canadian team produced only two repeat winners from the 516 Canadians playing south of the border. Players have good years, players have bad years and players get injured, but Mike Galloway (sophomore, St. Thomas, Ont.) of the Central Michigan Chippewas and Trent Kitsch (senior, Kelowna, BC.) of the Las Vegas Runnin' Rebels just roll on, they were on our 2001 team, as they were on our 2000 All-Canadian team. Our team is so deep that we've selected a first and second team and honorable mentions honoring 39 players. Seven informed baseball enthusiasts helped with the selections. Our voters went off the numbers and how each player performed for his respective team, with the draft having little impact on the outcome. After all, drafted players have their signing bonuses to keep them warm. First team: Right-handed starter (tie): Rich Harden (sophomore, Victoria, BC) of the Central Arizona Vaqueros,Jeremy Herauf (senior, Regina, Sask.) of the Winthrop Eagles and Jason Mandryk (junior, Langdon, Ont.) of the East Carolina Pirates. Harden almost led all National Junior College Athletic Association pitchers with 127 strikeouts in 97 innings. Central Arizona almost made the Junior College World Series. He had a 2.14 ERA and an 11-2 record. Herauf enjoyed his finest season with a 12-2 record, 3.66 ERA and 120 strikeouts compared to only 27 walks in 130 1/3 innings. He made 19 appearances, 17 of them starts, and picked up a save in his two relief appearances. He was a Collegiate Baseball Third Team All-American and Big South Conference first team member. This spring Herauf beat Coastal Carolina Chantileers, UNC Asheville Bulldogs, the High Point Panthers, The Citadel Bulldogs, the Radford Highlanders, the Charleston Southern Buccaneers, the Alabama Crimson Tide, the Wofford Terriers, the Florida Gators, the Kentucky Wildcats and the Mercer Bears. Tigers scout Bill Buck signed Herauf to a free-agent, contract with the Detroit Tigers after the draft. He reported to Lakeland, Fla. and is expected to be assigned to Detroit's Single-A A New York-Penn League team in Oneonta, NY. Mandryk fits the bill in what coaches want from a college pitcher. They say if you have an ERA under 3.00 facing while the din of the ping-pong hitters using aluminum bats, well, you're superhuman. Well, if that's true what does that make . Mandryk pitched in 13 games, making 12 starts and compiled a 1.95 ERA. The former Baltimore Orioles draft pick in 1988 had a 7-1 record. In 73 2/3 innings, Mandryk had 23 walks and 52 strikeouts. Left-handed starter Jeff Francis (sophomore, North Delta, BC) of the British Columbia Thunderbirds. Francis was an impressive 12-3 with a minuscule 0.92 ERA. In 15 starts he had eight complete games, which included a 46-inning scoreless streak. In 98 1/3 innings he fanned 118 hitters, while walking only 15. FIFTEEN! Francis was named NAIA Region I Player of the Year. He also was named to the NAIA All American first Team. Closer Dustin Bolton (freshman, Edmonton, Alta.) of the Southwestern Spartans. Bolton converted nine of 10 saves while also ranking as the NJCAA Region XI division ERA leader with a 2.49 mark. He also had two wins and two losses. He was selected to the All Region first team in Region XI. After being recruited by Cameron, Maplewoods and Porterville, he signed a letter of intent to attend Iowa Western this fall. Catcher B.J. Grenda (junior, Winfield, BC) of the Centenary Gents. Byron Grenda, named after his grand father, former British Columbia Lions star By Bailey, was a bright spot for the Gents, who went 23-36. In 60 games, Grenda had 23 doubles, a triple, nine homers and 58 RBIs to win a close battle at a evenly-matched position. The transfer from Alan Hancock Junior College, led the Gents with a .374 and when he wasn't receiving served as the DH. First base Peter Babcock (senior St. Thomas, Ont.) of the Indianapolis Greyhounds. Babcock, a Sauk Valley Community College transfer, hit .437 in 66 games. He clubbed 27 doubles and seven homers, while knocking in 60 runs. He earned first team honors to the All-Great Lakes Valley Conference, the only conference which uses wood bats. Babcock a health and safety major, was also named to the 2001 Verizon Academic All-America first team with a 3.874 grade point average. Second baseman John Cole (junior, Kanata, Ont.) of the Nebraska Cornhuskers. Cole may have split time between left field and second, but he's our second baseman. Cole's exploits owned a .418 average with 15 doubles, four triples and four homers. In 63 games he collected exactly 100 hits, drove in 61 runs and swiped 28 bases. 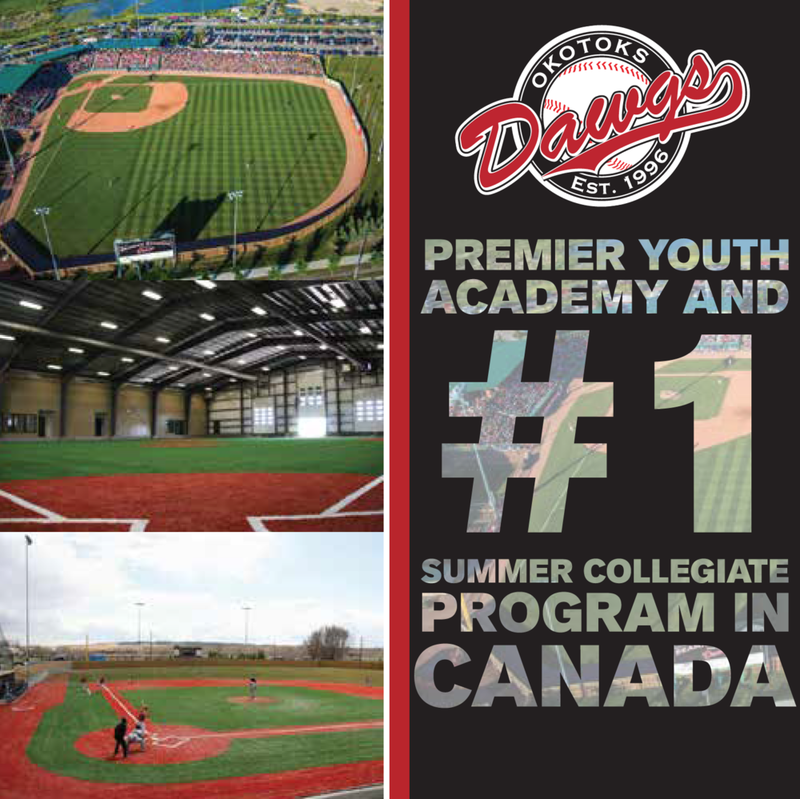 He was a was selected in the fifth round, the third Canadian selected over-all, by the Seattle Mariners. The highly-respected Baseball America picked Cole to its first team all-American team, while The Sporting News selected Cole to their second team. Third baseman Mike Galloway (sophomore, St. Thomas, Ont.) of the Central Michigan Chippewas. Galloway, who made the 2000 team, when he hit .376, with 11 homers and 47 RBIs as a freshman, bumped his run production. He knocked in a total of 62 runs. At the plate he also batted .346 with a total of 18 hits, which included 13 doubles, two triples and seven homers. Galloway shared honors in 2000 with Trent Kitsch at first base. Shortstop Lee Delfino (junior, Pickering, Ont.) of the East Carolina Pirates. Delfino batted a lofty .362 in 57 games and drove in 54 runs. He hit 12 doubles, with two triples and 11 homers. The Pirates reached the NCAA super regional before losing to the Tennessee Vols. A fifth-round draft by the Toronto Blue Jays in 1998, Delfino was selected in the sixth round by the Jays in 2001. Outfielders Len Elias (junior, Mississauga, Ont.) of the Bowling Green Falcons; Jay Scott (Burlington, Ont.) of the Saginaw Valley State Cardinal and Danny Gibbons (sophomore, Toronto, Ont.) of the North Central Texas Lions. Elias just missed hitting .400 for Bowling Green. In 53 games he had 81 hits, which included 15 doubles, two triples and 13 homers. Besides his .397 average, Elias knocked in 58 runs. He was named to the Mid-American Conference second team and won MAC Player of the Week honors in April. Scott, a transfer from St. Clair Community College, moved into the lead-off spot and swiped 29 bases in 48 games for Saginaw Valley. He hit .438 with eight doubles, seven homers and 42 RBIs. Gibbons helped the Lions win the 2001 Alpine Bank Junior College World Series with a 7-6 win over the Dixie State Rebels in Grand Junction, Col. During the Lions championship 53-15 season, Gibbons hit .408 with 24 doubles, five homers, 65 RBIs and 19 steals. Gibbons is headed to Central Michigan. Designated hitter Trent Kitsch (senior, Kelowna, BC), of the Nevada Las Vegas Hustlin' Rebels. Repeat winner Kitsch saw his average drop a few points from 2000 when he shared first-base honors with Galloway. However, in 54 games, Kitsch both bumped his home run totals and his RBIs numbers. He had 15 homers and 62 RBIs. Second team Right-handed starter (tie). Chris Begg (senior, Uxbridge, Ont.) of the Niagara Purple Eagles and Steve Carter (red-shirt freshman, Woodslee, Ont.) of the Coastal Carolina Chantileers. Begg was 8-3 with a 2.63 ERA. In 16 outings, which included 13 starts, he had 86 strikeouts in 92 1/3 innings. Begg fanned 86 while walking only 20. He was named the Metro Atlantic Athletic Conference's pitcher of the year as voted on by the MAAC's 10 head coaches. Begg broke Niagara's single-season records for wins, appearances, games started, strikeouts and innings pitched. He had two shutouts and was named MAAC pitcher of the Week twice during the regular season. Carter went 8-2 with one save and a 3.75 ERA. In 18 games, 15 starts, Carter worked 96 innings, fanning 76 and walked 48. He beat the Marshall Thundering Herd, the Delaware Fightin' Blue Hens, UNC Asheville Bulldogs, The Citadel Bulldogs, the High Point Panthers, the Charleston Southern Bucaneers, the Elon Phoenix and the Radford Highlanders. Left-handed starter Scott Martin (senior, Saint John, NB) of the Manhattan Jaspers. Martin earned five wins and had a 3.66 ERA. He twirled a pair of shutouts, working in 11 games, 10 of them shutouts. He fanned a total of 64 hitters in 76 1/3 innings. Martin beat the Canisus Golden Griffins, the Marist Red Foxes, the Iona Gaels, the Fairfield Stags and the Drexel Dragons. Yet, one of his best games was working 8 1/3 innings, fanning six and allowing one run against the Indiana Hooisers, a contest Indiana won 4-2 in 12 innings. Closer Gordon O'Brien (junior, Montreal, Que.) of the Louisana at Lafayette Ragin Cajuns. O'Brien recorded a 3-2 record for the Cajuns working in 16 games. He had a 3.27 ERA and picked up three saves, while fanning 32 hitters in 22 innings. In 2000, the Cajuns reached the College World Series. Catcher J.D. Noye (senior, Surrey, BC) of the Harding Bison. Noye went were usually only hitters with names likeGeorge Brett and Ted Williams go hitting .446. So, much for baseball being a game where you are a success even if you fail seven out of 10 times. He won the Gulf South Conference batting race by .001. In 41 games he had 11 doubles, seven homers and 46 RBIs. Noye's 46th RBI of the year, tied the single-season school record of Kevin Burton in 1995. Noye's batting average of .446 was the highest single-season average in school history. First base Chris Green (senior, Brampton, Ont.) of the Southern Arkansas Muleriders. Green saw action at first and third. The former Ontario Baseball Association player of the year, hit a lofty .362. And sticking with his affection to the 60s, he knocked in 66 runs. In 51 games Green had 68 hits, including 11 doubles, one triple and 11 homers. His 66 RBIs placed him fourth, while his 11 homers ranked him seventh in the Gulf South Conference. 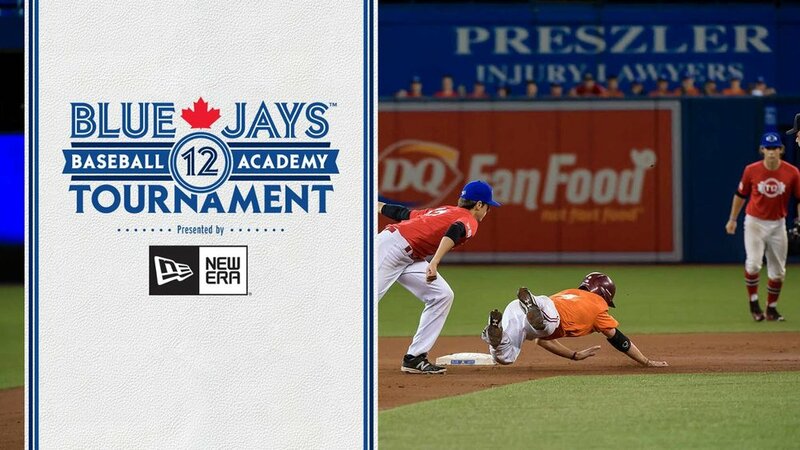 Second base David Quattrociocchi (junior, Toronto, Ont.) of the Northwestern State Demons and Gamin Teague (junior, Brampton, Ont.) of the Grand Valley State Lakers. Quattrociocchi finished third in the Southland Conference batting race with a .401 mark in 47 games and earned All-Southland Conference honors. The Q Man had 65 hits, which included 10 doubles, two triples and three homers. He knocked in 27 runs, swiped seven bases and scored 50 runs. Teague had one more hit than Quattrociocchi in fewer at-bats and wound up finishing the year with a .423 average. Looking at Teague's 66 hits he doubled 19 times, triple twice and hit three homers. That resulted in a 35 RBIs for the Laker. He stole 19 bags and scored 47 runs. Third base Mike Gillies (junior Port Moody, BC) of the Nevada Reno Wolf Pack. Gillies was crowned Western Athletic Conference batting champ with a .402 mark. Not bad for a guy who was forced to take a medical redshirt in 2000 due to an injured right shoulder. Gillies was an easy winner, finishing 22 points ahead of teammate JaRell McIntyre. In 50 games Gillies had 76 hits, which included 14 doubles, one triple, four homers and 35 RBIs. Gillies also had a 21-game hit streak. Shortstop Jason Helps (senior, Wyoming, Ont.) of the Central Michigan Chippewas. In 2000, Helps hit .266, slammed four homers and drove in 22 runs. This season it was as if he was a new hitter was wearing CMU's No. 3. The left-handed hitting Helps had a .288 average while clubbing a team-high 15 homers and driving in 59 runs. Now, that's a bump in run production. Helps set a school record by being hit 14 times with pitches and led the team in slugging percentage with .595 while finishing second in walks with 41. Helps, who was also an integral part of a defense that a school record with 62 double plays, will report to Melbourne, Fla. Helps was selected in the 22nd round by the Florida Marlins and reported to Melbourne, Fla.
Outfield Ryan Kenning (junior, North Vancouver, BC) of the New Mexico Aggies, Josh McCurdy (sophomore, Thornhill, Ont.) of the Niagara Purple Eagles and Adam Stern (junior, London, Ont.) of the Nebraska Cornhuskers. Kenning hit .340, with 13 homers, 49 RBIs, 18 doubles and a triple, while scoring 40 runs in 48 games. McCurdy set a school hit record at Niagara with 69. He batted .375 with 15 doubles, three triples, five homers and 41 RBIs and 40 runs scored. Stern knocked the doors off everyone when it came to scoring runs. He touched home plate 68 times. His average dipped below .300 at the end of the season and he finished at .292. In 64 games he had 78 hits, which included eight doubles, four triples, five homers and 47 RBIs, while batting in either the No. 2 spot or the lead-off position. Stern also stole 27 bags and was the top drafted Canadian chosen in the June amateur draft, being selected in the third round by the Atlanta Braves. Designated Hitter Bryan Swaenepoel (senior, Souris, Man.) of the Valley City State Vikings. Swaenepoel usually caught for his team, but like the saying goes hit the ball and they find a place for you in the lineup. Swaenepoel had 14 homers, including nine in one white-hot week. In 40 games he batted .364 with eight doubles, 14 homers and 44 RBIs. Honorable mentions Right-handers: Curtis Morrison (freshman, Brandon, Man.) of Indians Hills, John Ogiltree (senior, Mississauga, Ont.) of the Martin Methodist Indians; Louis Raptopoulos (red-shirt freshman, Mississauga, Ont.) of the Lyon Scots; Judd Richardson (sophomore, Caledon, Ont.) of the Miami of Ohio RedHawks; Braden Staranchuk (sophomore, Burlington, Ont.) of the Grand Rapids Raiders. Staranchuk was named NJCAA Division II Baseball Player of the Year. Besides going 9-1 on the mound with a 1.53 ERA in 13 games for Grand Rapids, he also hit .418 in 34 games with 11 doubles, one homer and 31 RBIs. Morrison was led the Iowa Community College Athletic Conference in both strikeouts (59) and wins (eight), Ogiltree went 7-3 with a 2.30 ERA, along with 97 strikeouts in 74 1/3 innings, while Raptopolous went 9-3. Catchers: David Harriman (junior, Surrey, BC) of the Armstrong Atlantic State Pirates and Alan Ready(senior, London, Ont.). First baseman: Adam Piggot (freshman, Sarnia, Ont.) Saginaw Valley State Cardinals. Shortstop: Toby Legacy (senior, Brampton, Ont., Concord Mountain Lions). Outfielders: Mike Hook (senior, Brampton, Ont.) of the Louisville Cardinals; Matt Huntingford (senior, Vancouver, BC) of Florida International Golden Panthers and Dave Poulin (senior, Quebec, City, Que.) of the Southern Arkansas University Muleriders.